With the latest release of ArcGIS Pro at R 1.4 you may be wondering what’s new and what’s cool? Thanks to Trip Corbin of eGIS Associates for sharing via the popular NDGIS discussion group, we’ve uncovered some interesting comments and tips about this release. Corbin comments, “This new version goes a long way to put ArcGIS Pro on par with ArcMap and ArcCatalog for core functionality.” Look for many updates including enhancements to mapping and visualization, geoprocessing, georeferencing, animations, charts, 3D analysis, portal analysis and much more. So, what are some of the big improvements you will find in ArcGIS Pro 1.4? This release includes a lot of tools many of us have been waiting on to put ArcGIS Pro on par with the core functionality found in ArcMap. Here are some of the new tools and functionality we believe are key that you will find in this release of ArcGIS Pro. For a complete list of what has been added to ArcGIS Pro 1.4 go to http://pro.arcgis.com/en/pro-app/get-started/whats-new-in-arcgis-pro.htm. 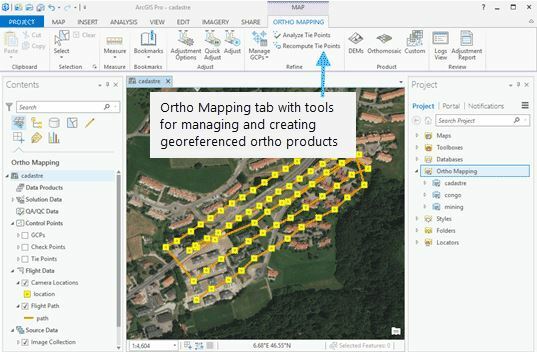 Corbin comments, “If you have not looked at ArcGIS Pro yet, then you really need too. Esri has said they are no longer focusing on development for ArcMap or ArcCatalog. Their focus for new desktop functionality is all on ArcGIS Pro”. Thanks to Tripp for sharing his perspective.